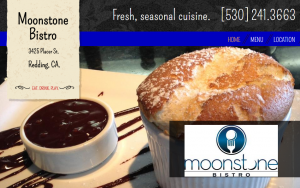 Exquisite meals prepared with as many organic, fresh local ingredients as possible. The View 202 offers an astonishing view, delicious menu, stunning ambiance and often live, local music. It is truly a must for anyone looking for a rich evening in Redding. 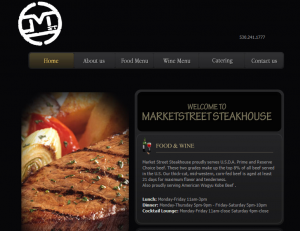 Perfect steaks fill just one page of the Market Street Steakhouse menu. With dishes such as: Stuffed chicken breast, maple glazed pork tenderloin, gourmet salads and daily fresh fish specials there is a little something for everyone. For those of you with smaller appetites Market Street Steakhouse features any array of appetizers that you can enjoy at the bar or at your table.